Still struggling with difficult, heavy plywood? 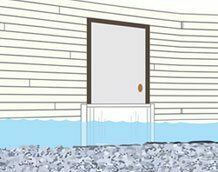 The simplicity of VuSafe Hurricane Panels will save you time & energy while providing peace of mind knowing your property is safe. 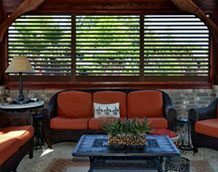 Both elegant & affordable, VuSafe Hurricane Panels are perfect for storm protection or seasonal closures. 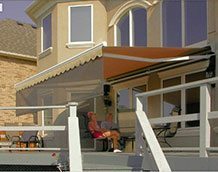 VuSafe see-through storm panels let the light in and are easy to use in advance of an approaching hurricane or for seasonal property protection. 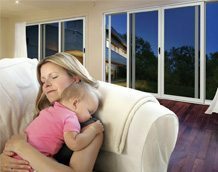 Suitable for both residential and commercial applications, our system is custom manufactured, pre-cut and numbered to make installation a snap. 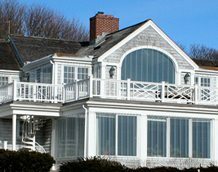 Speak with one of our product specialists about designing a plan to protect your home, lower your maintenance and insurance costs while raising your peace of mind. 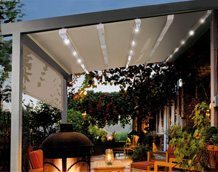 VuSafe polycarbonate panels are UV resistant and 10% thicker than other clear panels increasing strength and performance. While many panel suppliers do not supply attachment channels and hardware, we offer innovative solutions for any installation condition. Our VuSafe panels feature simple to use attachment options that don’t alter the look of your home or business. Minimize ladder work with our exclusive Hurricane Hooks and Ultra H header track with quick hang panel clips. 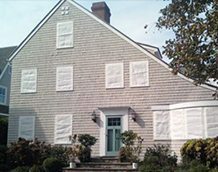 Our System is safer for homeowners to use than any other panel product, including plywood. 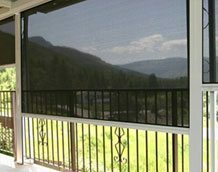 I purchased the Vusafe Hurricane Panels from Shade and Shutter and found their service and product to be excellent. 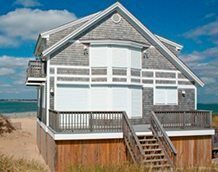 They not only took the time to review the images I sent them of my home in Canada, but made helpful suggestion about how to use their product efficiently and economically. Since I was not in the United Stated they shipped the product to me and when it arrived spent considerable time with my contractor explaining in detail how to do the installation. It was an excellent experience. As you know, we live near the ocean. The weather thus far this winter from coastal storms has been quite severe. We now have the peace of mind that our home can withstand the brunt of any storm with our new VuSafe panels. We are about to have our second Nor’Easter. The one this past Thursday/Friday was intense. Most of all, wanted to tell you what a wonderful decision we made. Not a drop of water has come in, there is no rattling with the high winds and if there is sun, it’s nice and toasty out there. Even with the howling wind, it’s almost as if you don’t know it’s windy at all when on the porch. If you ever need a recommendation on these types of panels (VuSafe), I would never hesitate to give an A+ rating. The project was completed with highly satisfactory results. From the office staff, who showed us what options we had, to the installers, who were highly skilled professionals and who demonstrated how to use the panels, all were most pleasant. They even recommended our purchase of the less expensive option, the clear corrugated polycarbonate over the more expensive roller shutters for our purposes and showed this eighty eight year old how he could easily put them in place. 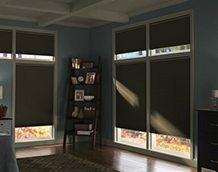 I highly recommend Shade & Shutter Systems, Inc. The VuSafe Hurricane Panels are perfect. Probably took me 30 minutes to get the panels all set. Had exactly the right amount of hardware. Everything is all set and put away, and I made a cheat sheet for quick installation in the fall. Thanks for explaining, I appreciate your time.